Hello Everyone, Im a new to Steemit. I have 50 Potcoins sitting in my Coinomi wallat and i am doing a giveaway! Hopefully this will be the first of many giveaways! Everyone loves Crypto right? Resteem this post since this is my first giveaway! Anyone that has done this by 7/17/2017 12:01 am est will be entered in this drawing. I will draw one winner shortly after this time that has done these three things. I will post the winner so i can get their wallet info and send them their winnings!! Everyone have an Awesome day! 50 potcoin is a sweet giveaway. Thank you for the selfie and I'm already following you. Steem On! Done deal with all 3 requests. Ready for some Potcoins. first crypto i ever bought . 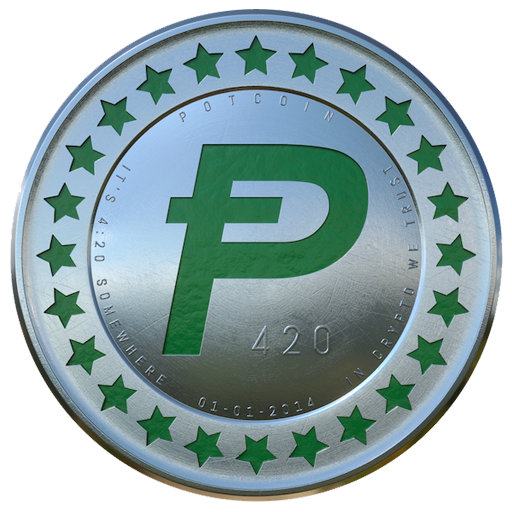 potcoin. i currently have like 200 potcoins. I def think there is a future in the green bud, will probly invest more this summer. Nice giveaway... I'v done all 3. Patiently waiting on you. Cheers. Inspiration man! Thanks for the opportunity! Resteemed to 659 great folks. Hand built list. Quality follows. Friends. Sure would love some potcoin! :D Cool promotion. Have fun! Bittrex will be the destination if I were lucky enough to win! Thank you @sircork you are entered into the drawing. happy 420 to you my friend. Ok, I upvoted and am following, I don't have a potcoin wallet so don't put me in the draw. Super excited about possiblt getting my first potcoin! my address is @Lkt. I received a reply that you wanted my wallet address I guess that's it. Thank you. A giveaway for Potcoin! Awesome! Thanks for opening this up! I already follow you and look forward to more of your posts! More Crypto....more life!!!! Thanks for the giveaway!!! Upvoted(check) followed(check) resteemed(check) now it's time to wait. thanks for the giveaway and good luck to all. This post has been ranked within the top 80 most undervalued posts in the first half of Jul 10. We estimate that this post is undervalued by $16.06 as compared to a scenario in which every voter had an equal say. See the full rankings and details in The Daily Tribune: Jul 10 - Part I. You can also read about some of our methodology, data analysis and technical details in our initial post. What the hell...I'll give it a shot. LOL. Done and Done, simple contest like this is always a good thing to jump on.